The Auto Race is a track guided ride. It is fast, fun, rerideable, it has a large capacity, and a long duration. This ride is sweet. I wish there were more rides like this in other parks. I believe this is the only one left in the world. The Auto Race is fun, but Im just not a big fan of it. Its a little rough for me and the cars are kind of small... My sister barely fits in them. (Sorry if Im smashing someones favorite ride.) The line is a bit long for a ride like this, but it is unique (might be last in the world, not sure). Plus its a Traver, so you cant really be surprised at how rough it is after the Revere Beach Lightning. It used to have drops but occasionally the cars would get stuck on them so they took them out. Its always bumping you on the turns and sometimes your car gets all weird. A classic car, but a tight fit. T really with that theyd re- think the seating arrangment in those cars. 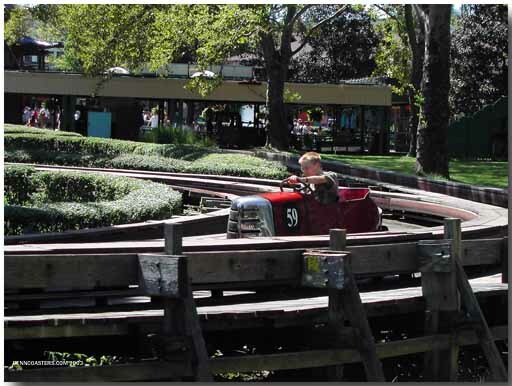 A classic ride, although it is hard for most adults to comfortably fit in the car. This is a ride for people to take their kids on. It really is alot of fun for kids, but its fun for adults too. Time to relax from the busy park. All you do is push a pedal is go slowly around a low incline track. You dont even have to steer. Its boring unless youre a five year old kid. The ride certainly is enjoyable and a classic but I wouldnt want to wait in line to ride it again. 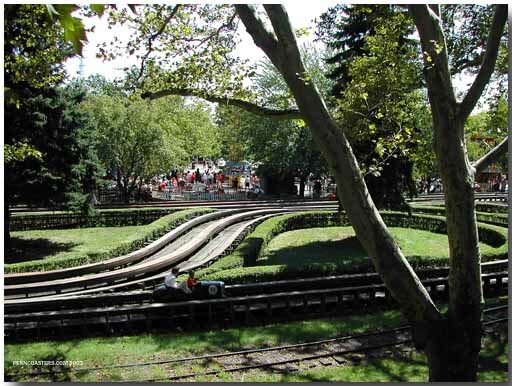 The landscaping is great and the ride is impeccibly maintained. Would give it a 10, but GEEZ PEOPLE, its a frickin car ride in antique clunkers on tracks. 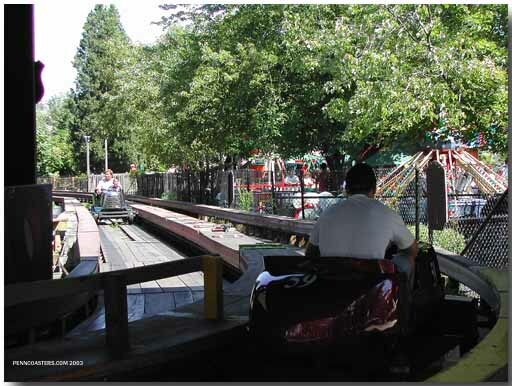 The only fun is swerving over and over to hit the center track and harassing the fun employees!